The following guest post is by Michael Chasalow (USC Gould School of Law) and is sponsored by West Academic. Given the new ABA guidelines (and the push by many State Bars) for experiential learning, I wanted to share my experiences using practical exercises as part of a doctrinal course. For many years I have included practical exercises in my Business Organizations course. I have found that students learn the material better and that they appreciate a connection to the real world. I typically divide the class into “firms” of four or five students, and give them the types of assignments they might receive as associates working on a corporate matter in a law firm. I try to limit the responses to 2-3 pages, which I find is sufficient to make the exercise meaningful, but not excessively burdensome. The assignments are intended to incorporate the most recent substantive material we cover in the course, while building some practical and strategic lawyering skills. There are a few students who balk at the extra work, but, by and large, most of my students find the exercises beneficial and appreciate experiencing how the issues we are covering in class might arise in practice. These exercises provide great opportunities for feedback both on the written assignment itself and in class when we review the exercises and give students an opportunity to present. In a large class, I use the team approach, but the exercises also work well individually. 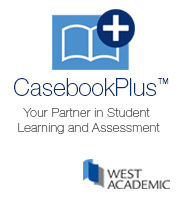 This approach has been incorporated into the Experiencing Series - a new casebook series by West Academic Publishing that includes practical exercises with substantive material. (In the interest of disclosure, I have written Experiencing Business Organizations.) I believe that a good course should include both theoretical and practical instruction. The Experiencing Series provides the opportunity to maintain the fundamentals of a traditional course while enhancing the learning experience with simulations. Regardless of how you feel about the mandate to include such exercises in the curriculum, I have found the exercises in Experiencing Business Organizations extremely useful and worthwhile, and students seem to feel that they are getting a good mix of practical experience skills along with the substantive subject matter. Practical education, curricular changes, etc. seem to be window dressing on the larger problem with legal education. There has been almost no systematic study of the problems facing young graduates. Surely someone in the academy can study such people and find out why they are having trouble getting a job, whether their skills are deficient to practice law, the number of such people, the likelihood that they will practice law, whether jd preferred jobs really are jd preferred jobs, etc., and pin down the trouble areas. Can't someone in academia do this? You have student names and addresses. It's a lot of leg work and interviews, but I suspect that the answers would be revealing.